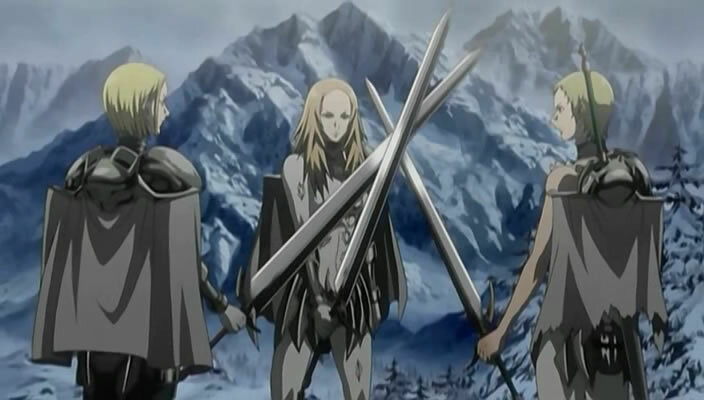 Not only is the anime called Claymore, but the name of the type of sword is claymore too. 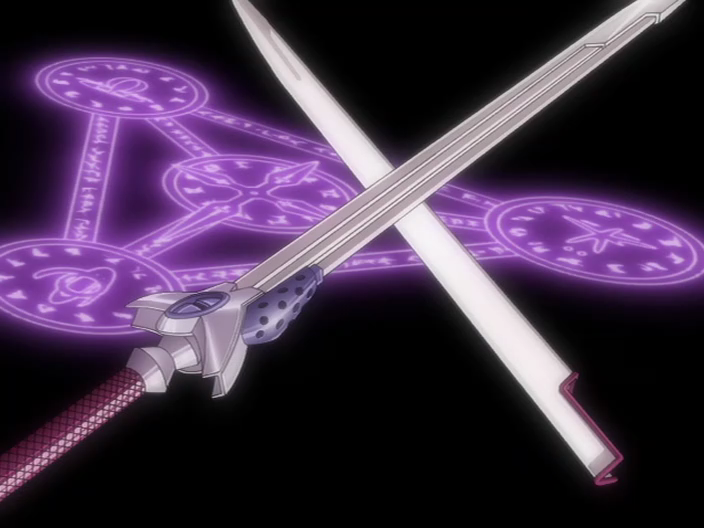 These anime swords are massive, double-edged, and have a sharpened hilt. 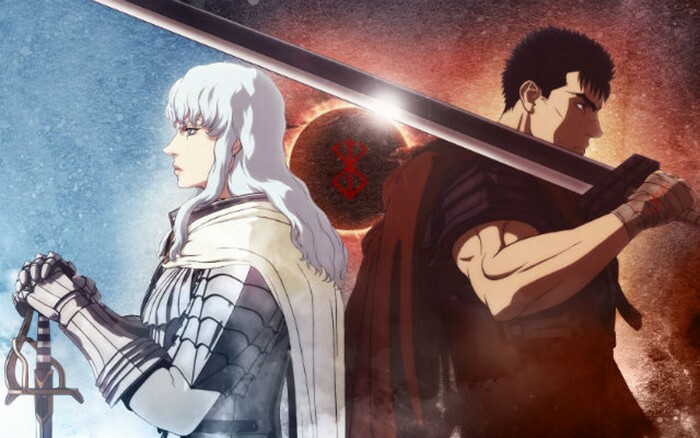 Claymore comes from the Scottish Gaelic term “claidheamh mor,” which translates to “great sword.” Each of these anime swords is customized with their owner's symbol at the base of the blade. Rin Okumura wields the demon slaying sword Kurikara, which also contains his sealed away demon heart and powers. When unsheathed, the sword unleashes Rin's demonic powers, and when sheathed they are sealed away. The less control Rin has over his powers, the more he turns into a demon. 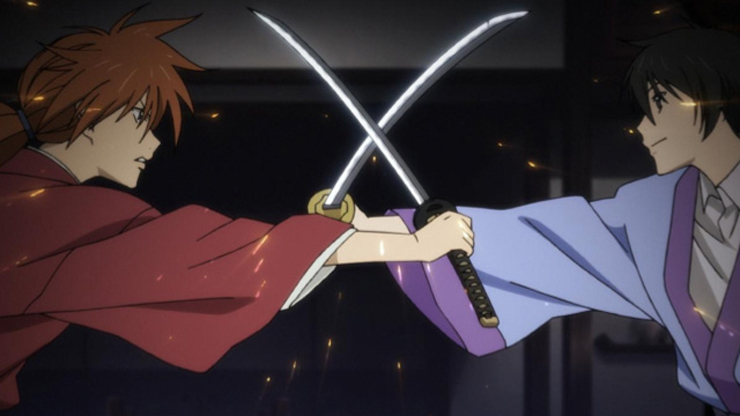 With the power of one of the greatest anime swords ever, Rin is sure to never let go of the Kurikara. 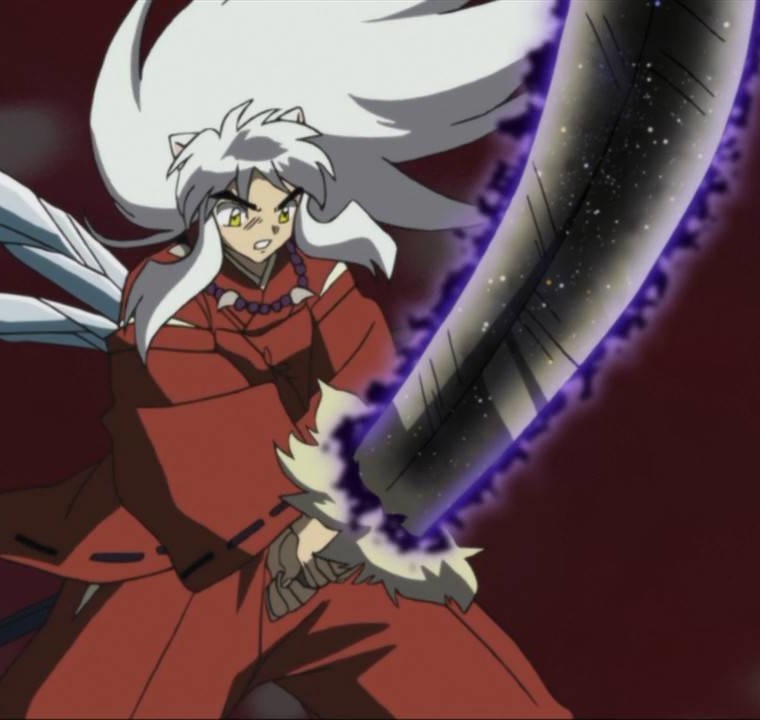 The Tessaiga is one of the most famous anime swords on this list, made out of Inuyasha's father's tooth. At first it looks like any ordinary katana, but when wielded properly, it transforms into a massive blade. Its two famous offensive attack specialties are 'Wind Scar' (Kaze no Kizu) and 'Backlash Wave' (Bakuryuuha), with each technique able to vanquish multiple demons at once. As a side note: the sword will only transform if the wielder cares for humans and has 'yoki', or demonic energy. 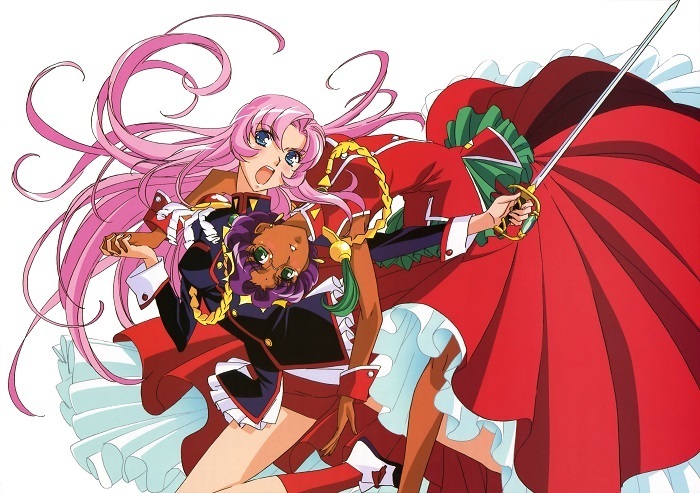 In Shoujo Kakumei Utena (Revolutionary Girl Utena), the sword of Dios is obtained by Utena when she pulls the blade out of the chest of Anthy Himemiya, a 'Rose Bride.' Although at first glance this is one of the least extraordinary anime swords on this list, the rose bride is able to bestow the blade with extra strength, greatly increasing its power. Miroku is a massive, black claymore that's dragged across the ground behind Mikoto since it's so big and she's so small. however, although she is small, Mikoto has no problem handling this beast of a sword and uses its weight to gain momentum in order to make quicker and more powerful attacks. This is one of those anime swords that can only be wielded by the most special of warriors. 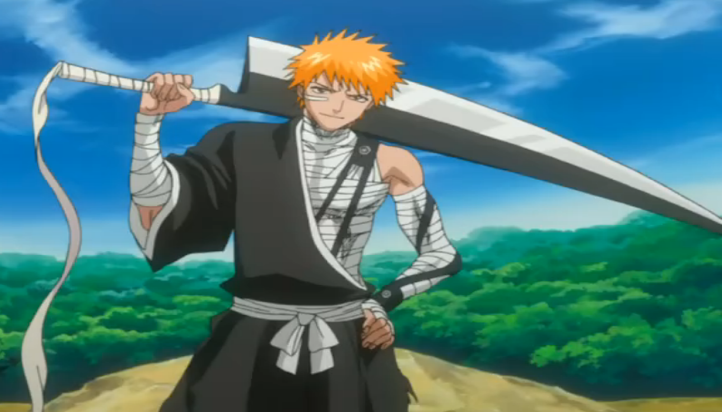 Zanpakuto, or 'soul-cutting sword,' literally has the power to cut through spiritual bodies. Not all Zanpakuto are alike, since they are formed from their owner's souls and take on personalities of their own. The name of a Zanpakuto empowers and strengthens the sword because they are names of living spirits. This is one of the most mysterious anime swords ever! Ea, also known as Sword of Rupture, has a dull tip, but that doesn't take away from its effective features. Even with a dull tip, Ea is able to pierce through an opponent and penetrate their vitals. 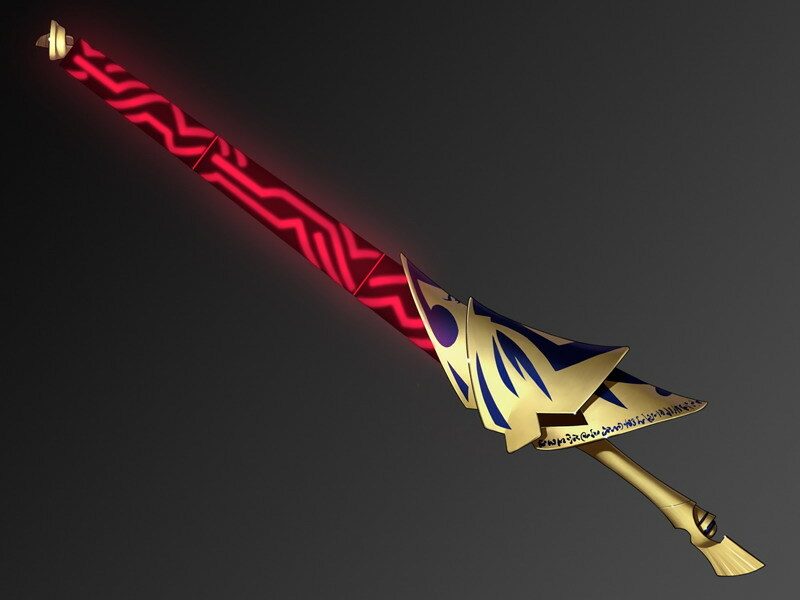 Only Gilgamesh can possess this anime sword as it is made for a ruler's use. The double-edged Tsurugi has a curved blade and hilt with two prongs and acts as Mugen's main weapon. The sword appears to be a combination of an Okinawan Sai, a metal-pronged sword, and a Japanese katana. 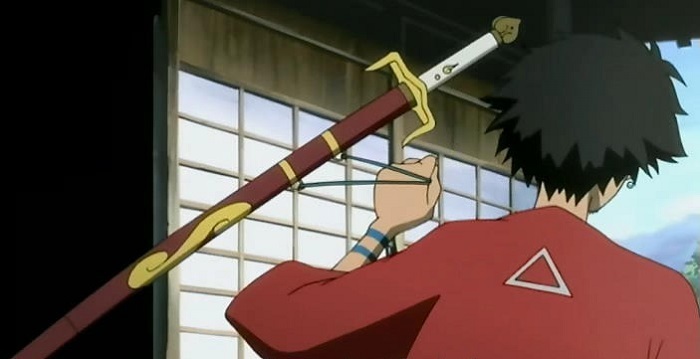 With Mugen's eclectic fighting style, a blade that doesn't do well in straightforward attacks is helpful. Ragnorok is a living being that serves as a weapon to Crona. Her black blood creates the sword and bestows the blade with powers, instilling speed and frequency waves that aid in attacks. 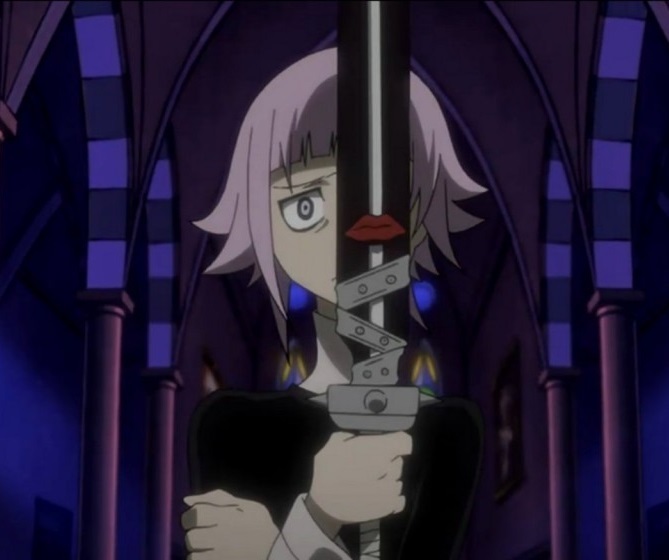 The anime sword's design is also unique, with the hilt jutting out spikes and a pair of lips above the spikes that allow for high frequency wails. 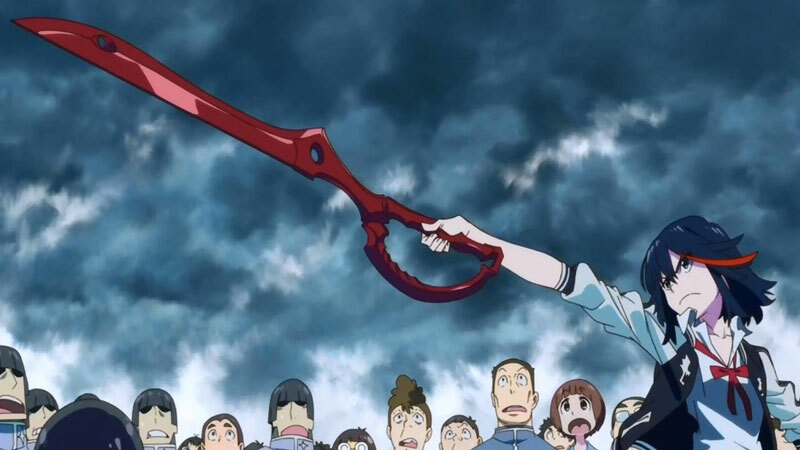 Ryuuko possesses one scissor blade of the rendering scissors. The blade changes size from the size of normal scissors into a longer, more menacing blade. 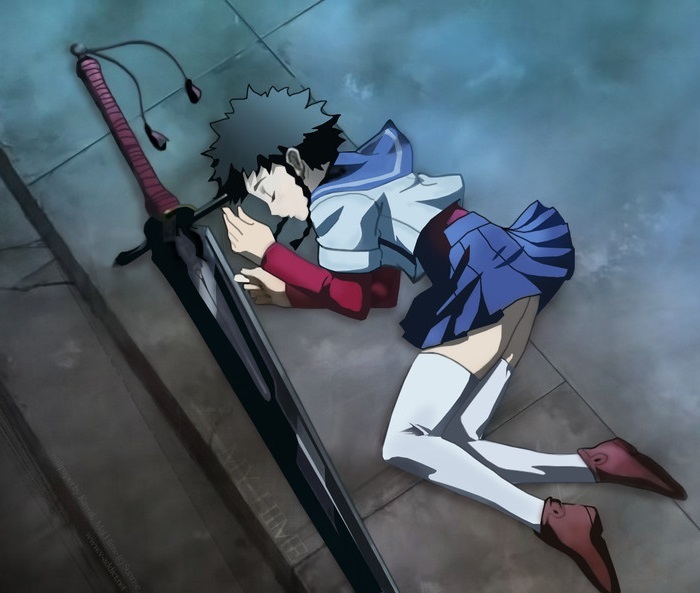 Ryuuko's finishing move in battle allows the blade to extend even further to allow the execution of decapitation mode. 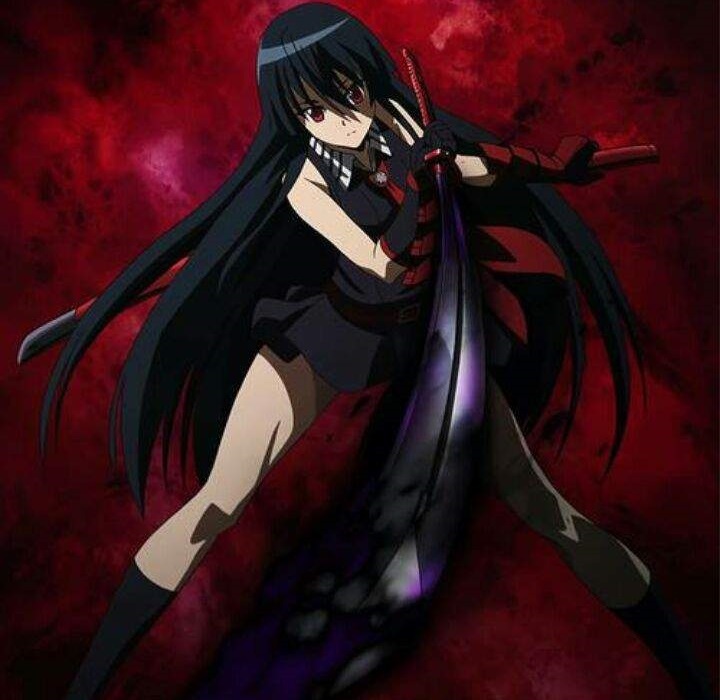 The Sakabato or the, 'Reverse Blade Sword', is designed to not kill the opponent. This katana was created to allow Kenshin to atone for his past, while offering aid to those in need of his sword skills. The sword was designed to usher in the a new peace of the Meiji era and Kenshin's promise to never take another human life. 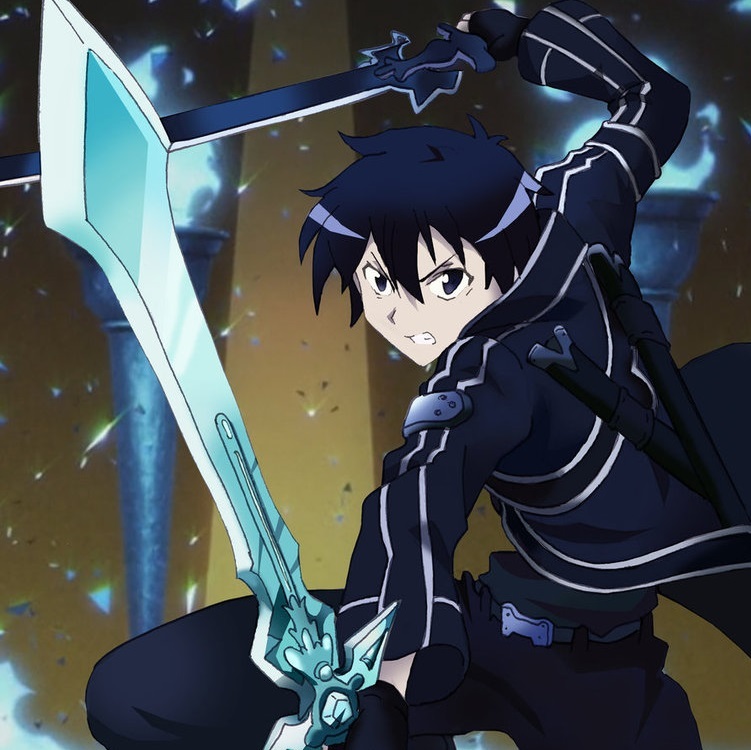 This anime sword is the Dragon Slayer, a larger than life type of sword that has no problem wiping out soldiers and demons. A quote from Berserk describes it best: "It was too big, too thick, too heavy, and too long. It was more like a slab of iron." With this outlook, it can be said that this anime blade has a primitive design. Laevatein, also known as 'demon blade of flame,' has the ability to take on different forms, such as a chain link blade. 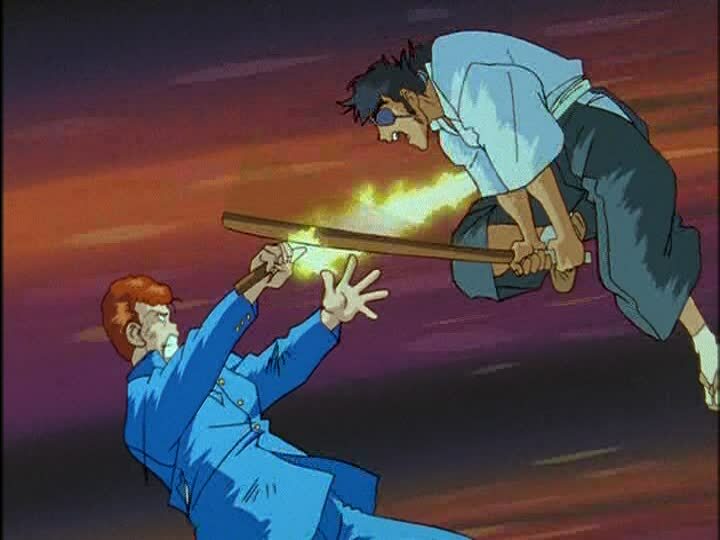 It can also use special attacks, such as 'Rising Phoenix Flash', which launches a fiery tornado at the enemy, or the 'Fire Phoenix Flash', which forms pockets of flames that are thrown at the enemy. This is one of the most magical and most beautiful anime swords ever. 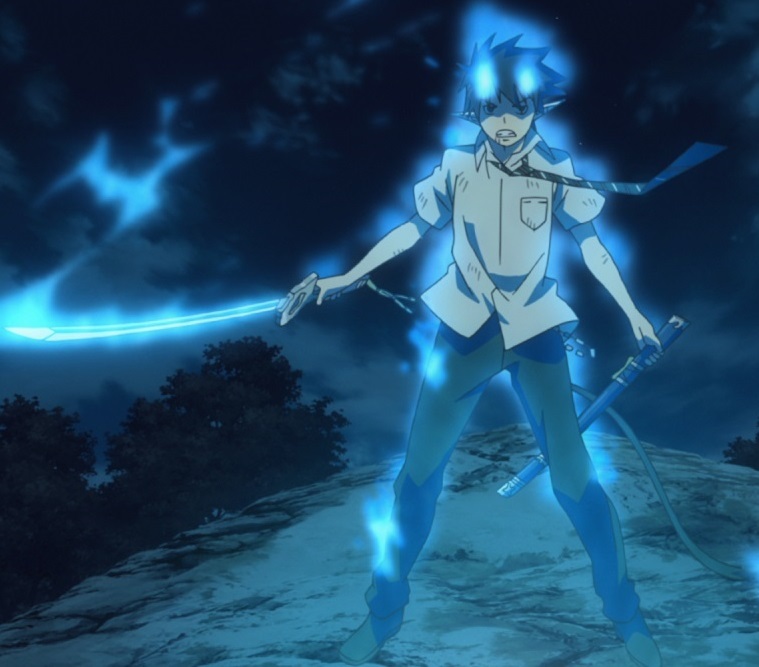 Mugen or 'Six Illusions', is a sword instilled with supernatural powers wielded by Kanda. It's obtained from 'Innocence', which is a power used by Kanda to fight demons. 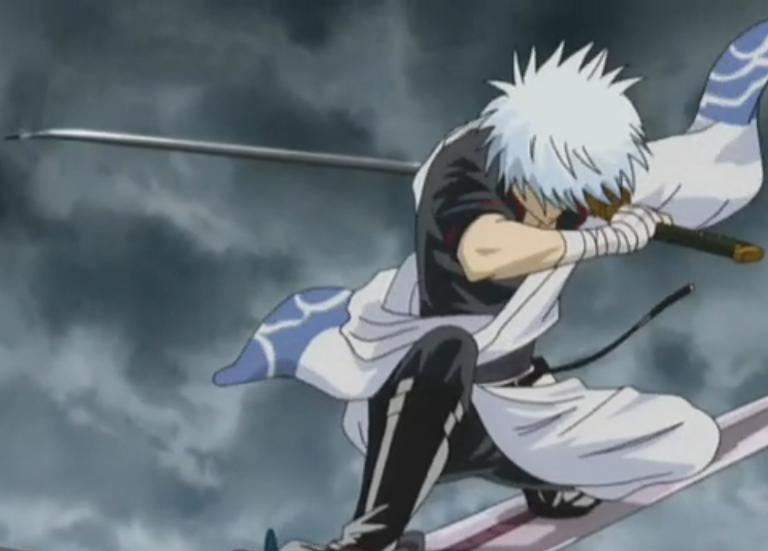 This anime sword has the ability to enhance its own strength and when activated turns silver. The Singer's anime sword is a massive broadsword that's twice as long as she is tall. 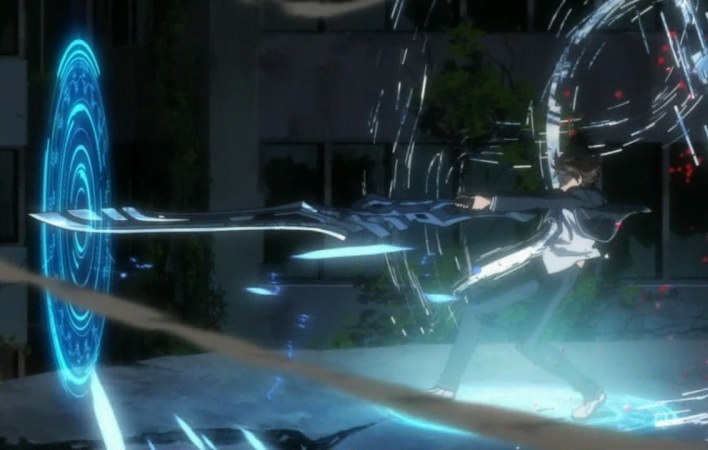 In action, the sword appears to be all powerful, slicing everything in its path, even robots. To use the sword, Shu must pull it from Inori's chest a la Revolutionary Girl Utena. Wado Ichimonji is roughly translated to the 'straight road of harmony' and is a highly valued anime sword. 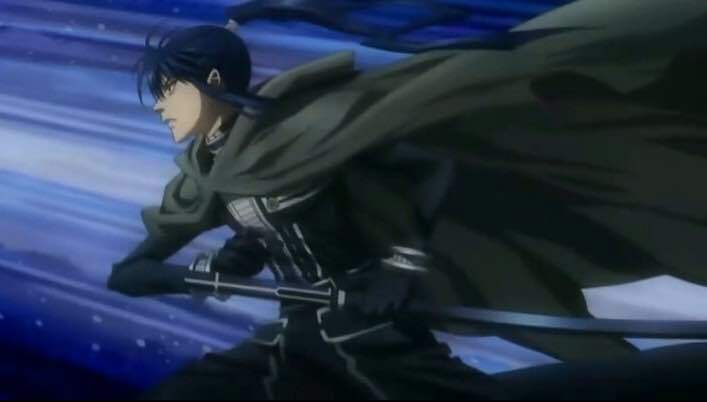 The blade is a suguha, or straight blade. 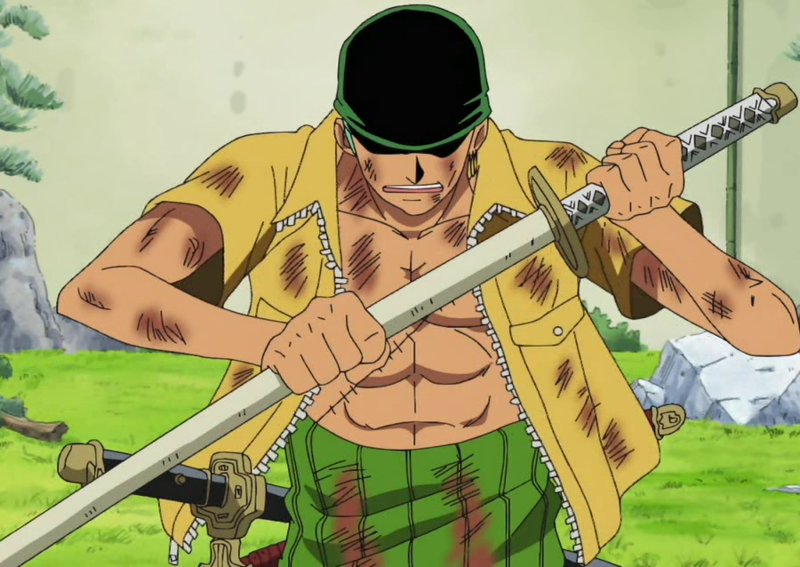 This sword is used by Zoro Roronoa, who uses the blade by putting the hilt in his mouth when attacking an enemy. Exposed innards, river of blood, mutilated body parts: these are just some of the vile scenes that gory anime are famous for. But, there are anime fans all over the world that simply love watching them. Check out some of the goriest, bloodiest, and most violent anime around. Anime: One Piece, Rurouni Kenshin: Meiji Kenkaku Romantan, Mahou Shoujo Lyrical Nanoha A's, Mai-HiME, Samurai Champloo, InuYasha, Bleach, Fate/stay night, Yuu☆Yuu☆Hakusho, Gintama, Claymore, Soul Eater, Ao no Exorcist, Guilty Crown, Sword Art Online, Kill la Kill, Akame ga Kill!